Aquascape Pond Shark Pro is a versatile, professional-quality pond net that combines three helpful tools into one easy-to-use product, making pond cleanup and maintenance easier than ever. 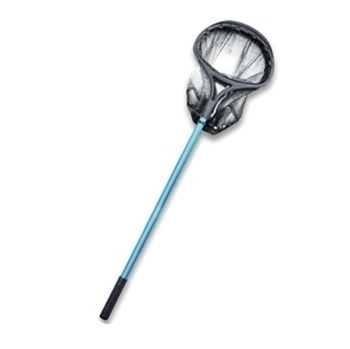 The Pond Shark Pro includes a sturdy net to handle fish and collect pond debris and innovative raking and scraping blades to tear through and collect unwanted pond debris or string algae. The integrated telescoping steel handle is extremely durable and extends up to 96? in length for ease of use. Aquascape is passionate about the products we produce, providing unique products, designs, and features that stand above the competition.